We’ve rounded up a few of our favorite gift ideas for everyone on your shopping list. Purchase a gift certificate online, by calling the Box Office at 301.600.2828, or by visiting in person at 20 W. Patrick Street. Gift certificates come in any denomination, never expire and can be used towards any performance of the recipient’s choice. They’re the perfect choice for everyone on your list! 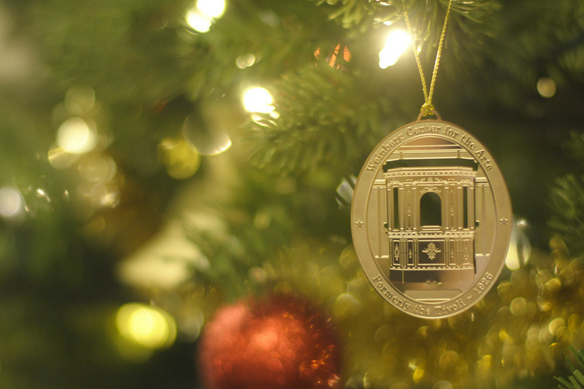 Celebrate the legacy of our historic theater with a commemorative Weinberg ornament. 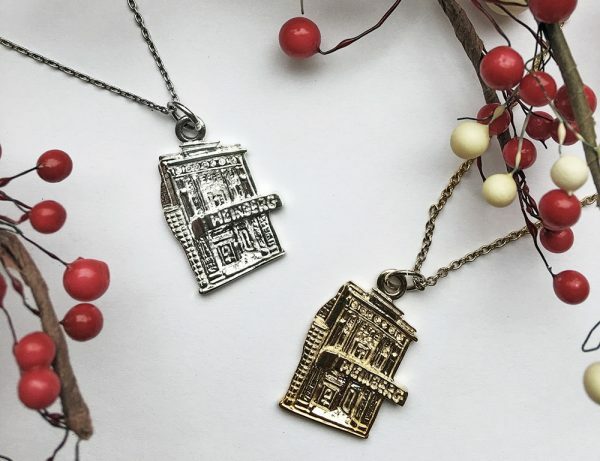 These beautifully-rendered gold-plated ornaments depict our iconic ticket booth and come pre-packaged for easy gifting. We guarantee they’ll look stunning when hung on your tree! Ornaments are $10 each, and are available exclusively at our Box Office at 20 W. Patrick Street, now through December 31st. Colonial Jewelers started the Frederick Charm series 14 years ago, and have selected notable Frederick landmarks. This year, they chose the Weinberg Center (formerly the Tivoli Theater), because of its rich history and significance in the Frederick community. Their spokesperson said they are delighted to include their long-time neighbor in their charm series! Still not sure what to give that special someone? Give our friendly Box Office staff a call at 301.600.2828 and they’ll be happy to point you in the right direction.